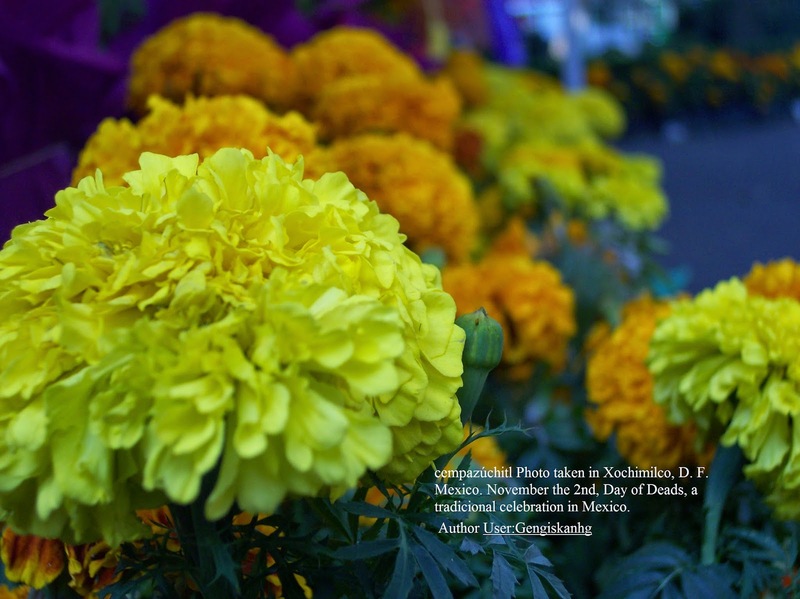 In Mexico, on the ‘Dia de Muertos’ or ‘the Day of the Dead,’ Cempasuchitl flowers can be found everywhere. 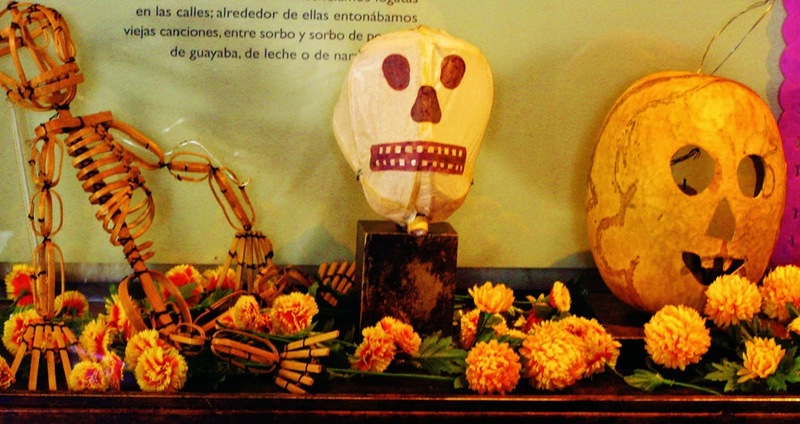 Bright orange glow spills out of their petals on to large paper-Mache skeletons, they adorn candy skulls made form cast-sugar and chocolate, and they frame ‘Dead Man’s Bread’ on the family table. The native Mexican word for the Marygold hides an important meaning: ‘Cempasuchitl,’ or: ‘Cempoal-Xochitl;’ means ‘Flower of Twenty’ -some say it’s because of its 20 petals. The flower was the ideogram for the number twenty; and twenty was a special number to the Mexica -known in Europe as ‘Aztecs.’ Twenty was the base of their arithmetic and calendar systems. ‘20’ was to them, what ‘10’ is to us today. The Mexican ‘Flower of Twenty’ or ‘Cempasuchitl’ was believed to contain the very heat and light of the sun inside each crown of orange and yellow petals. The light inside the Cempasuchitl was believed to be visible to the departed, and -on the Day of the Dead- it would illuminate the way back to their former earthly abode. Once there, the deceased would find her (or his) picture alongside images of dancing skeletons all dressed up for the ball. Well, we certainly choose to laugh at life, especially when the only other option is to cry; and even when things are good, it sometimes seems that earthly existence is but a long awkward moment. Like that clumsy, bump on the forehead as you try to look out at a beautiful sunset through a greasy window. Sometimes I think that life after death could be just as messy and awkward as this life. I may have my indigenous ancestors to thank for this. Aztecs had not only one, but two ‘gods of the dead,’ ‘Mictlantecuhtli,’ and his wife; ‘Mictecacíhuatl’ who –like any other married couple- kept themselves company by doing each other’s heads in, while barely staying together throughout an eternity down in the underworld. After being welcomed by the lovely couple, the souls of the recently-expired found out their fate. Those who died of natural causes could make themselves at home in the underworld, those who drowned became part of an eternal ‘Waterworld,’ and lastly; a temporary heaven inside the sun awaited men who died in battle and women who died while giving birth. These dead men and women could then return to earth in the shape of the flower-drinking hummingbird, a sacred animal. The Spanish had never seen a hummingbird until they came to the ‘New World.’ They marvelled at the bird and called it: ‘the flying jewel.’ They captured as many as they could, and sent their colourful feathered skins to Europe, creating an unsustainable demand for more skins and causing the death of many millions of these birds. So, it was back to square-one for the brave reincarnated souls. 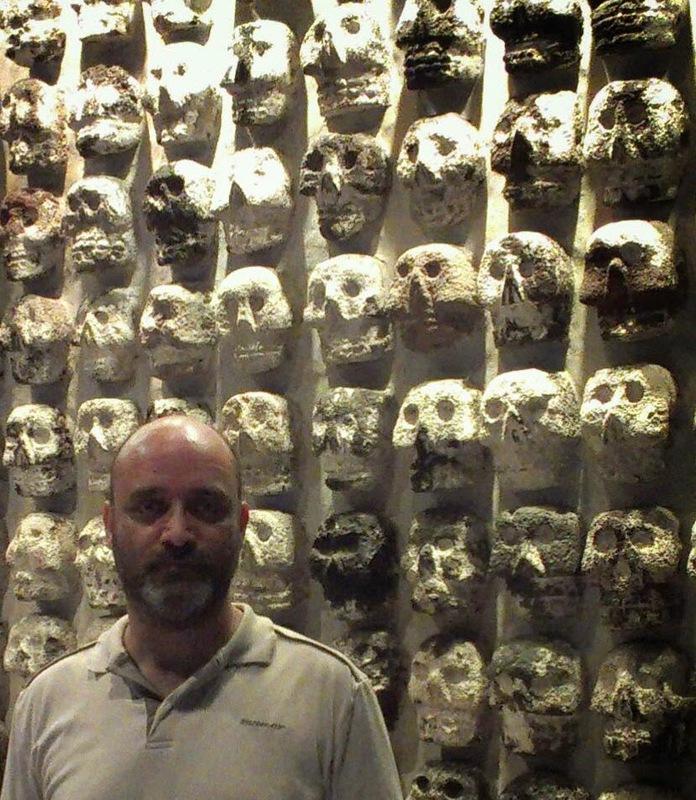 It seems in Mexico, life is always spilling into death and death is always splashing back onto life. 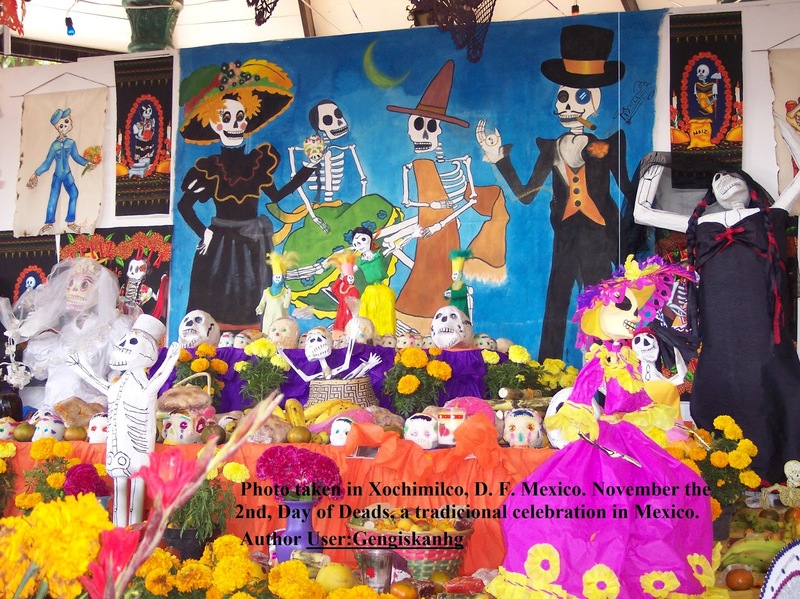 On the Day of the Dead, this thin boundary between life and death becomes even fainter, as the departed souls of relatives are thought to be closer to the living than on any other day of the year. Even though the Cempasuchitl will light the way for the visiting spirits, some families are eager to save the deceased the trouble of the journey back, and so they venture into the ‘Panteones’ (Graveyards) not only with Cempasuchitl flowers and candles, but with food, guitars and even Tequila. Mexicans could easily use the modern Spanish word ‘cementerios’ for graveyards; but they choose to use the older word: ‘Panteones,’ maybe it’s because in its Greek root the word means: ‘all the gods’ as in: ‘the more the merrier’–but to keep things Catholic: ‘Diosito’ (the God,) his son Jesus, the Virgin of Guadalupe, and the lesser saints are also invited to the Day of the Dead party. During this eclectic graveyard picnic, people will lovingly decorate their dead relatives’ graves and then sit down to chat to them or amongst themselves for hours on end. As night sets, they’ll light up a small constellation of candles and listen to the sounds of rosary prayers blend in with the chords and singing of Mariachi music. A bottle might get passed around while children eat candy and play on the burial ground of relatives they never met. I hope I don’t look like you too soon –to be honest. Maybe we’re trying to hide the fact that in Mexico death has never really been a laughing matter. In distant times the appalling practice of human sacrifice helped an elitist Aztec theocracy keep millions of souls under control and was of such a scale that it horrified even the blood-soaked, iron-hearted conquistadores from across the sea. Since those days, them and others have continued the mass sacrifice, disguised as ‘Conquista,’ ‘Colonia,’ ‘Independencia,’ ‘Manifest Destiny,’ ‘Revolución,’ and mass emigration. Present-day Mexico is still no place to laugh at death. In the grip of a drug war imposed upon the people by local drug cartels, the Mexican government and the international demand for drugs; life is cheap… crazy cheap; but death is always expensive; and no one laughs at the price. In the country of sugar skulls and sun-containing flowers, it makes sense that death be life’s shackled shadow, as near to it as night is to day; and so when you can taste the sunset just around the corner, you can only pray for sweet dreams and a free hummingbird’s paradise. On the Day of the Dead we remind ourselves not only that death is not the end, but also that being crazy and care-free right now is essential to maintaining sanity; because we’re all headed towards that candle-lit night; when children will play above ground asking about who we were, making our surviving relatives airbrush our frowns and growls out of anecdotes and stories about us, and our days on earth. 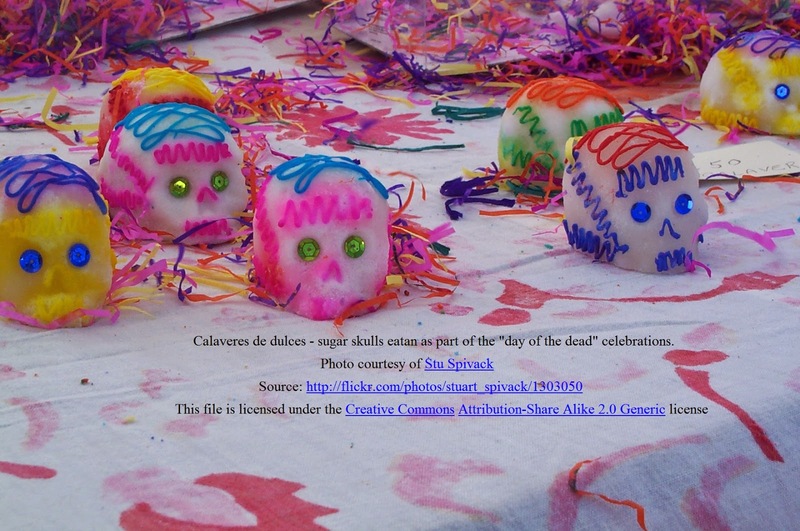 In a typically Mexican circular way, the Day of the Dead also suggests a forgotten life before birth. Because life in Mexico is desperately and comically flawed- but it’s also mysterious and constantly renewing itself. As I ponder on the meaning of the Cempasuchil flower, it’s sad that while growing up over there I didn’t actually know the true meaning of its name. 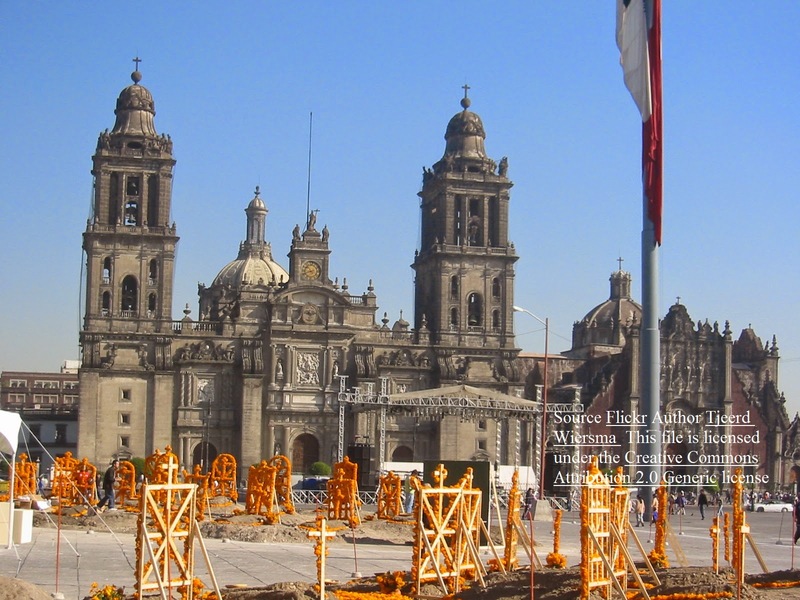 In everyday life in Mexico City, the only remnants of the native language of the Aztecs survive in the names of neighbourhoods and of the surrounding mountains, or as a part of a wider ‘Mexican history’ class in schools. Growing up in Mexico, the ‘Nahuatl’ language was almost a foreign language to my generation; even more so than the English that has opened doors for me throughout my life. Things are changing, and that’s why, the ‘Day of the Dead’ itself is having to fight off its own death these days. A mighty rival illegally crossed the border southbound a few decades ago. 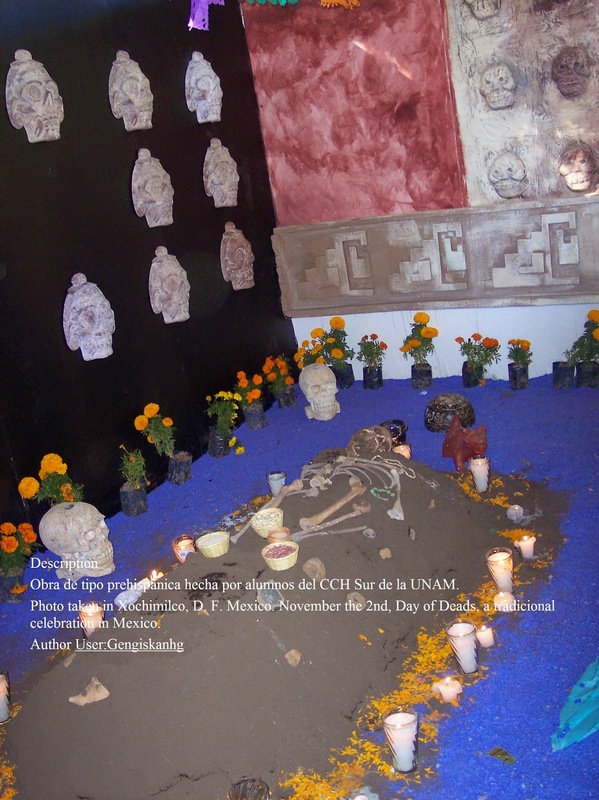 Armed with spider-man costumes, sneaker’s mini-chocolate bars and carved pumpkins, Halloween ‘trick or treating’ is always gaining ground against the traditions of displaying the Cempasuchitl, of eating sugar skulls and of leaving ‘Dead Man’s Bread’ crumbs on the great-grandparents’ plot. How interesting it seems that Halloween comes from the Irish ‘Samhain,’ the autumnal festival during which the doors into the world of the dead were considered to be open for a while. So, ‘Failte’ Halloween, mi casa es tu casa.